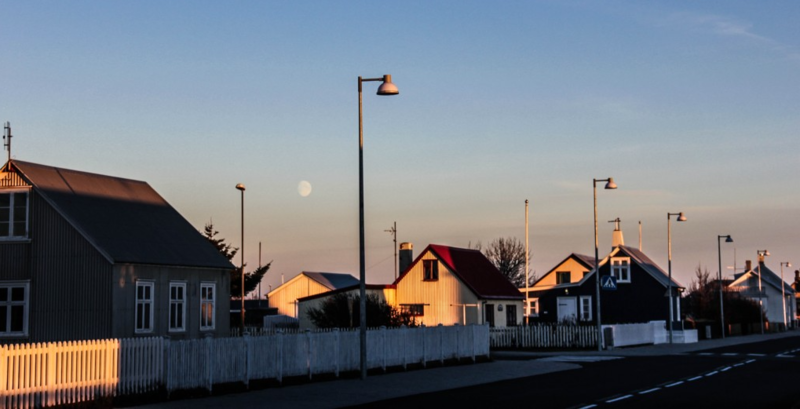 The attractive, unspoiled historic fishing village Eyrarbakki is ideally placed for exploring the South of Iceland.The village has an amazing restaurant, Rauða húsið which serves good food, a grocery store and museums. 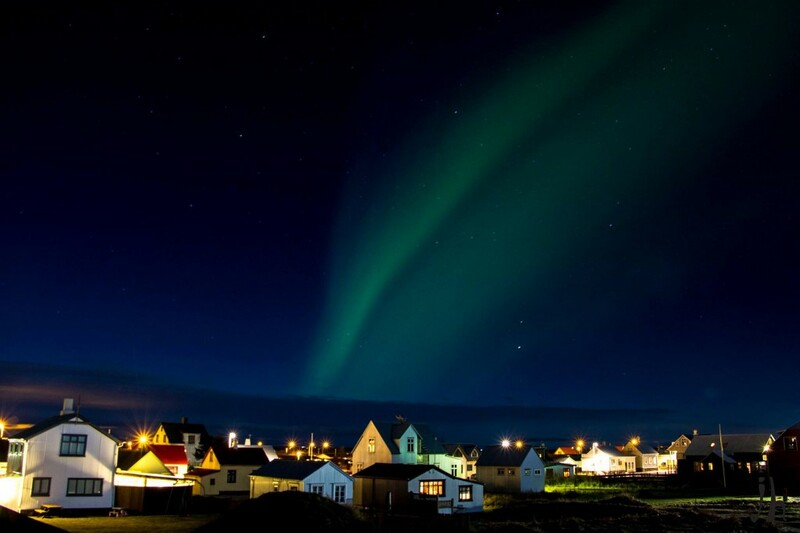 Travel time from Keflavik International Airport via the South-coast road is around 50 min. Travel time from Reykjavik is 40 min. Eyrarbakki is central with regards to some of the major tourist attractions in Iceland; Þingvellir, Gullfoss, Geysir, Kerið, Skógarfoss, Hekla, Vestmannaeyjar, and Eyjafjallajökull. The nature around Eyrarbakki is extraordinary. The bird reservation Flói is within a walking distance, and the sky is filled with the sounds of the variety of birds. 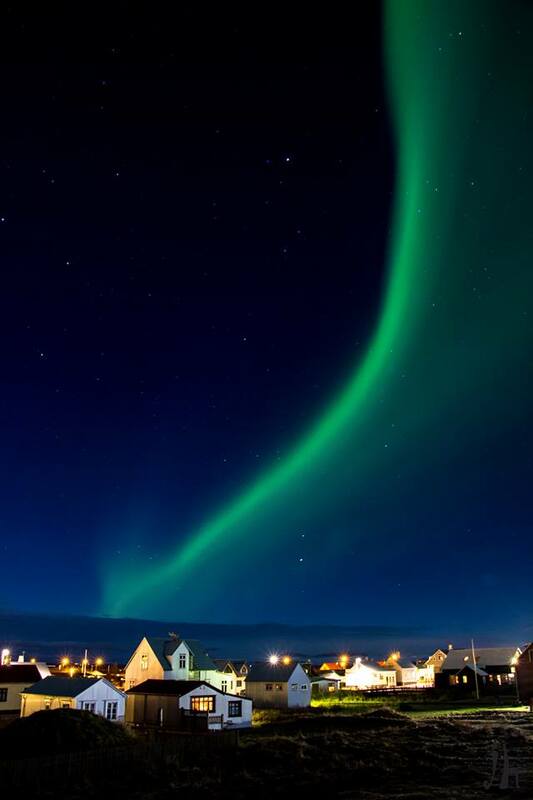 During the endless light of summer with it´s breathtaking sunsets, and northern lights during winter, everywhere you look a new experience. And the fragrant air and the roaring sea work together to clear your mind. 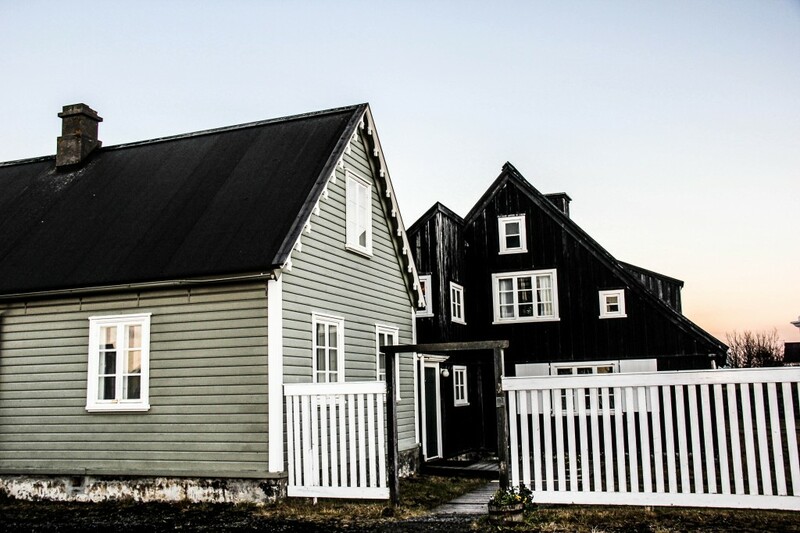 In the village is a historical Folk Museum called Húsið, The House. 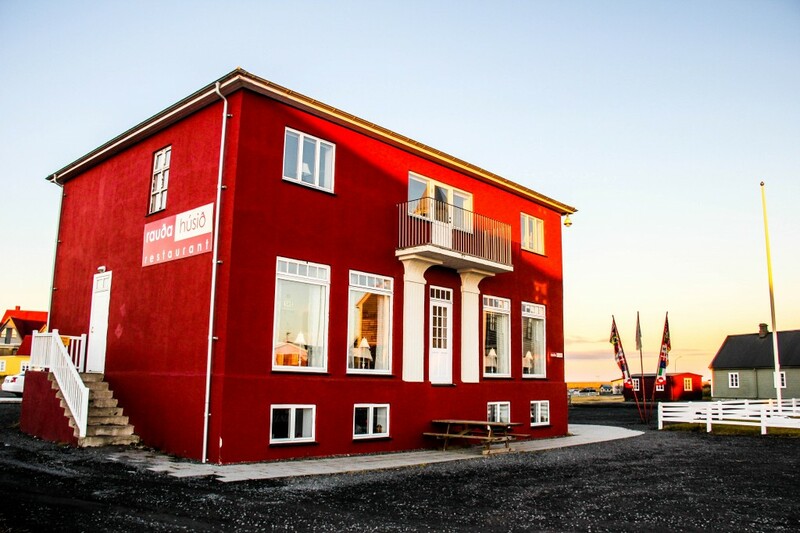 The exhibitions give you a look into Icelandic history, and the charm of rural life in Eyrarbakki in bygone days. The House is the oldest house in Iceland, it was built 1765. The church in Eyrarbakki was built in 1890, its altarpiece was painted by Queen Louise of Denmark, wife of King Christian IX, great-great-grandfather of Queen Margrethe II of Denmark, Elizabeth II of the United Kingdom and King Harald V of Norway. With all of this on your doorstep, Seaside cottages can be enjoyed at any time of the year by the whole family. More information on their website: Click here.